Liver Transplant Anaesthesis - Kings College Hospital, London, U.K.
Dr. Gourishankar is an able teacher and has twenty four years of post-graduate teaching experience. He has numerous research papers published in national and international journals to his credit. 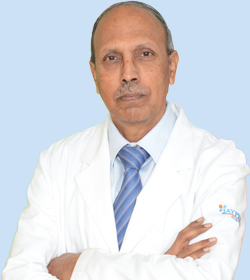 Dr. Gourishankar has over 23 years of experience in Cardiac Anaesthesia and 12 years in Liver Transplant Anaesthesia. He has been actively involved in anaesthesia and perioperative care of wide variety of surgical patients during his career. Prior to joining Jaypee Hospital, he was consultant and chief anaesthetist of Cardiac and Liver Transplant Centre at R & R Army Hospital.